I spend a bit of time lurking and contributing to both the /trees and /horror subreddits - surprise, surprise. So before I jump into the review, I want to take a moment and thank Satans_asshol3 for this week's movie review. In response to my Get Out write up, he (she?) suggested I check out Pyewacket. Maybe I should be ashamed and hand over my “horror card”, but I hadn’t heard of this movie until Satans_asshol3 brought it to my attention. Good thing! It turned out to be a expertly crafted little indie flick I’ve since gone on to recommend to all my horror loving ents. It was a Tuesday night and I had just picked up an eighth of Gorilla Glue #1 the day before. Being a fan of GG#4, I was looking forward to what this "number one" strain would offer in terms of effects. Although four is a sativa strain, it's known to induce deep couch lock. On the other hand, the one I had planned for this evening is an indica dominant hybrid so theoretically it should also have some nice sedating effects. It does have the word "glue" in it's name so that provides an indication, but there's only one way to know for sure. First though, let's talk about Pyewacket. 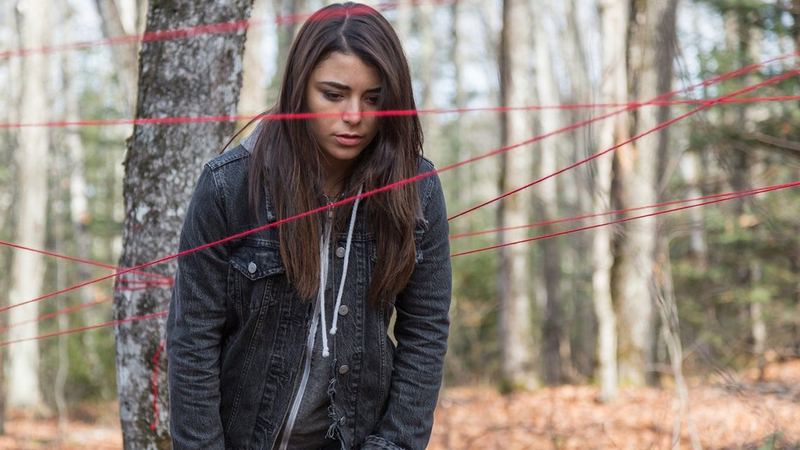 Pyewacket is the second film from Canadian writer/director Adam MacDonald and features Nicole Muños (Leah) and Laura Holden from The Walking Dead who plays her mother. The movie begins shortly after Leah's father has passed away leaving the two women trying to cope. The loss causes strain on the relationship between mother and daughter ultimately causing the mother to lash out, blaming Leah and the house as a constant reminder of her husband. Leah finds solace with a group of friends obsessed with the occult. I started my night of horror by packing a bowl with some freshly ground GG#1. As mentioned earlier, it's a indica dominant hybrid that's a cross between Chem’s Sister, Sour Dubb, and Chocolate Diesel. Nugs are dense and sticky with a deep green color frosted over with a powdering trichomes. Took my first rip and right away noticed that the taste is nearly identical to it's number four relative - earthy with a distinct pine flavor that dominates. Also like Gorilla Glue #4, it hits hard and induced some pretty big coughs after the exhale. Successive hits only increased the burning in my lungs. Needless to say, you should have a nice large glass of water on hand. The one thing that you should know going into this movie is that it's a slow burn. Personally, I'm a fan of a good slow burn so long as the payoff is worth it. Especially when high, slow burn movies are perfect for allowing yourself to lose track of time and simply sink and get fully immersed into the story. The first act spends a lot of time building the characters and foundation of what's to come. The seed is planted when Leah's mother begins to unhinge. In a moment of weakness she blames her daughter for her inability to heal and says she wished she could rip off her daughter's face because she resembles her father. Then Leah's mother decides the only way to escape the constant reminders of her husband is by moving to a new home, isolated, away from all they know out in the middle of the woods. Obviously this doesn't sit well with Leah. After all, moving would take her away from her friends that she relies on for support. Any teenager can relate. The curse has been unleashed and it's now only a matter of time for those events to play out. Understandably shook, Leah, in a moment of rage, vocalizes her wish that her mom was dead. Again, another very angsty teenagery thing to do. But she takes things one step further. Leah pulls out her occult books, grabs some ingredients and supplies, then heads deep into the woods. There she performs a ritual, slits her wrist and summons Pyewacket to kill her mother. When she returns home from her incantation, she's visibly upset to see her mother, still alive, sitting on the couch. But the curse has been unleashed and it's now only a matter of time for those events to play out. The following morning her mother offers up a sincere apology for the way she's been acting and for the hurtful things she said. It's a tender and vulnerable moment between mother and daughter if not for the looming dread that now hangs over them. Thinking clearly now, Leah regrets performing the ritual. This is when act two begins. By this point, I'm flying high and my eyes are glued (gorilla glued?) to the screen. My body feels like it's sinking into the mattress and it's becoming increasingly difficult to keep my eyes open. Yup, I'm a fan. Gorilla Glue #1 didn't provide as much of a head high as #4, but the body effects are fire. No pain. Just complete comfort - like a heavy blanket draped over your chest. Much like the first act, act two continues the slow burn layering tension and dread. The premise is actually pretty simple. But what makes Pyewacket shine is its execution and impressive performances of the entire cast - especially from Muños. She's believeable as the main character. The movie doesn't rely on cheep jump scares (although there is one that's pretty cheesy) and instead methodically builds up the creep factor until the final act when things get very, very sideways. I can't recommend Pyewacket enough. The movie is truly terrifying. I feel like some of the scariest horror movies are those that lean on atmosphere and tension - The Babadook and Hereditary immediately come to mind. Yes, it's a slow burn. And maybe that fact will immediately turn some people off. But those that give it a chance will be treated to a final act that more than delivers a payoff worthy of the wait. But enough about me, how about you? 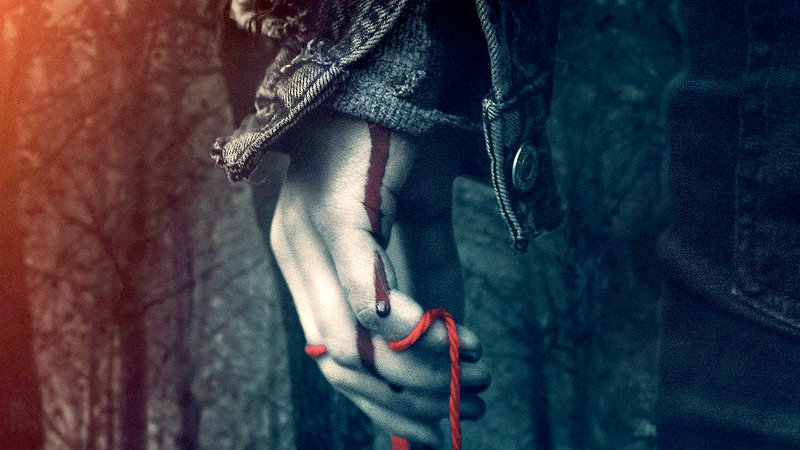 Have you watched Pyewacket or tried Gorilla Glue #1? What are your thoughts? Did you have a similar experience? Please leave a comment and let me know. And of course, don't forget to follow Bloody High on Instagram, Twitter and Facebook. Thanks for visiting Bloody High - the premiere destination for horror and cannabis reviews. This site was created as an excuse to pack a bowl and watch something scary. Every first and third Tuesday of each month, a new horror review will be posted along with the cannabis strain taken while watching it. Reviews will also offer a description of how the effects either enhanced or detracted from the viewing experience. Have a movie or strain you'd like to suggest? Maybe a question that needs answering? Whatever the reason, feel free to send an email.